San Diego is one of the most expensive cities to live in the country and like many large cities faces a critical shortage of affordable housing. 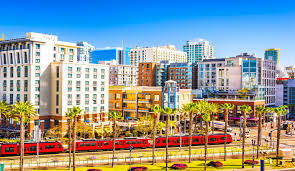 On November 15 Bisnow held the State of San Diego Multifamily networking event to bring together stakeholders to discuss innovative solutions to the escalating housing shortage. The local event covered topics on investment, development, design trends and the future of the Costa–Hawkins Rental Housing Act. Housing on Merit’s Executive Director, Jennifer Litwak, was invited to speak about investment activity in the San Diego multifamily market. Multifamily is a key asset class that attracts large institutional investors, real estate investment trusts (REITS) and private family-owned shops, all wanting a part of this growing market.